If you’re just starting out with long range shooting, you may be wondering what all this MIL vs MOA talk is about. It’s a hot debate in the firearm world these days. Many people believe there’s really no reason to fret over deciding to use MIL (milliradian) or MOA (measurement of angle) since they have such minimal differences and essentially do the same thing. But when using a firearm and a scope it’s important to understand how things work and what is best for your own situation. This can be difficult to do when new terminology is thrown around and you aren’t sure what it all boils down to. The great news is you can’t go wrong either way when choosing MIL or MOA—they are both good. You can think of the difference between MIL and MOA like the debate between using the metric and the imperial measurement system. Objectively speaking, one isn’t “better” than the other, they’re just different. If you’re considering the choice of MIL or MOA, switching from MIL to MOA or likewise have been wondering if you should switch from MOA to MIL, we’ll outline a few things to consider. Thus, making the decision a bit easier. Is MOA or MIL more precise? MOA vs MIL: Which is better? What others are using, MIL or MOA? After reading this article hopefully you’ll be a little closer to making the best MOA vs MIL decision for you. 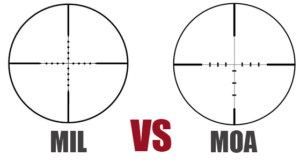 MIL vs MOA: What is a scope and how does it work? 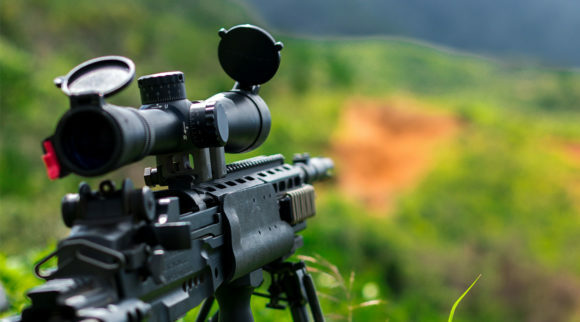 In order to understand the difference between MIL and MOA you first need to know what the scope is and why it’s important. 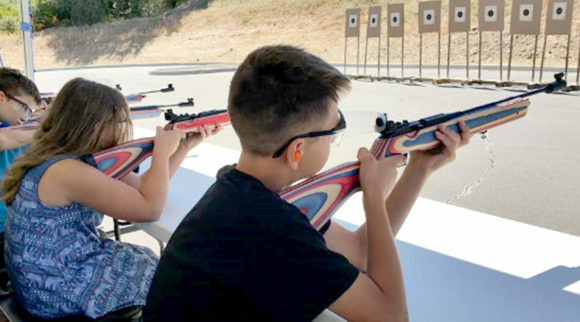 Shooters mount scopes on their guns because it is faster and easier to look at the target through a scope and the reticle (the crosshairs) rather than lining up the front and rear sights on the target. 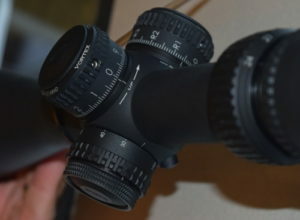 Plus, a scope will magnify the target, again making it easier to shoot accurately. 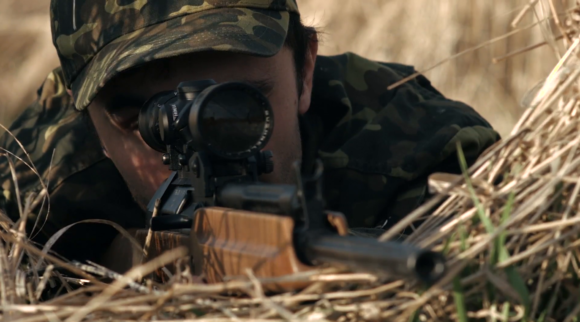 A scope has a body containing several pieces of glass which help you see through the scope and magnify your target using the reticle. People tend to use the term reticle and crosshair interchangeably. 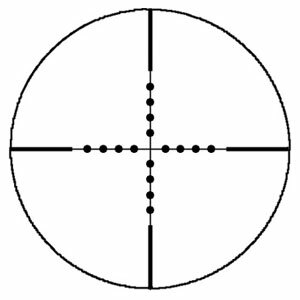 Although, there are many types of reticles to choose from besides the original reticle with the classic crosshairs. 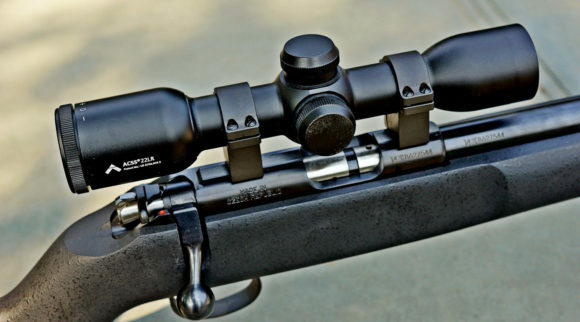 For the scope of this article we are typically going to be talking about original or dot reticles. 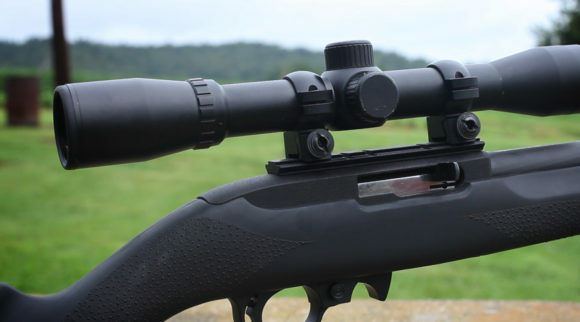 Your scope also has something called a turret which is used to manage windage and elevation. Adjustments to the turret allow you to change your bullet impact. 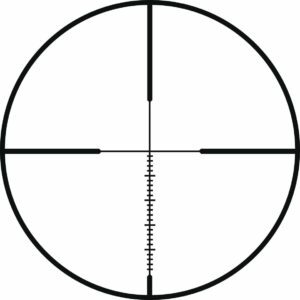 This happens by raising, lowering, or moving the reticle crosshairs from side to side which gives you a true point of aim. Two of the measurements used by the turret to make these adjustments are MIL and MOA. MIL and MOA are super important because without a chosen unit of measurement there is no way to know the best way to adjust your turret and communicate that adjustment with other shooters. Now this is where a lot of people get stuck. They wonder should I choose MIL or MOA, is one better than the other, which is right for me? And thus, the everlasting debate of MIL vs MOA begins. Now that you understand the basics of scopes and how they work, you can decide which angle of measurement, MOA or MIL, is right for you. MOA, or minute of angle, is a unit of measurement used in long range shooting that is equal to 1.0473 inches at 100 yards, which is typically rounded to 1 inch. 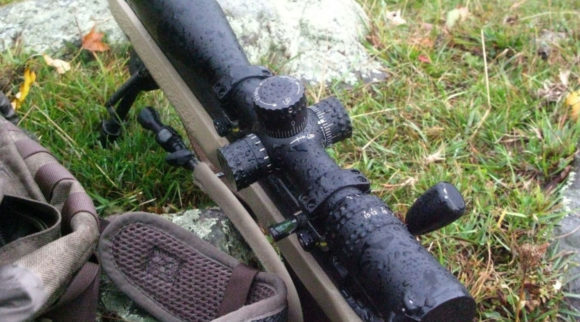 Most hunting scopes have 1/4 MOA adjustments which move bullet impact ¼ inch per click, or graduation, at 100 yards. At 50 yards the movement is half as much at 1/8” per click, and at 200 yards it is twice as much at ½” per click. With so many numbers and a whole lot of new terminology being thrown around, it can be hard to understand if MIL or MOA is right for you. 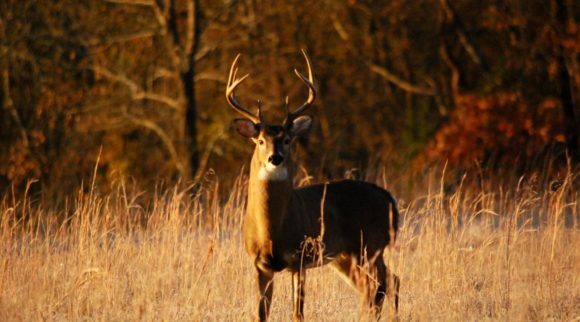 While the two units of measurement are relatively equal, there is still more to understand about how they work for your long-range shooting needs. First off, a good majority of American shooters prefer to use MOA over MIL simply because that is the math they understand the most and feel the most comfortable with. Much like any other situation involving unit of measurement, Americans are virtually alone in using the imperial measurement system. This becomes a huge factor in many people’s choice between MOA or MIL because they want to be able to calculate their measurement quickly and accurately which is incredibly important when using a scope. Regardless of whether or not the shooter is used to the imperial measurement system, some people also argue that MOA is easier because the calculations are more whole and consistent. That helps the math to come quickly off the top of your head so that the shooter can act more quickly. To explain this further, for example, one MOA at 100 yards is 1 inch, one MOA at 600 yards is 6 inches, and so forth. While on the other hand, 1 MIL at 100 yards is roughly 3.6 inches. For some people using MOA helps improve the ease of operation of the scope which generally makes for a more enjoyable experience. MIL is short for milliradian. You may also hear MIL be referred to as MRAD. Don’t let that confuse you, the two terms are completely interchangeable. For the purpose of this post, we’ll stick with MIL. A MIL is 1/1000 the distance to the target regardless of whether the distance to the target is measured in yards or meters. At 100 yards 1 MIL is equal to 3.6” and at 1000 yards, 1 MIL is equal to 1 yard. Basically, a 360-degree circle is made up of radians which are angles based on a circle’s radius and are equal to 1000 MIL. Each radian is made up of several milliradians, total there are 6283 milliradians are in a circle. To be clear the MIL system is not metric nor is it the imperial system, but it does correlate more with the metric system. So, how the MIL system works is that it is used on turrets and integrated into the reticle. Here are a few examples of measurement with the MIL system: at 100 meters, 1 MIL is equal to 10 cm. Likewise, at 100 meters, .1 MIL, or one click, is equal to 1 cm, at 1000 meters, 1 MIL is equal to 200 cm which is 1 m. So that means at 762 meters, 1 MIL is equal to 76.2 cm. One way to look at MIL vs MOA is tenths vs quarters. A MIL is large, so it can be broken down into tenths which makes it easier to make adjustments that are more exact. This can easily go over your head if you aren’t used to using the metric system. The MIL system is much like the MOA system in the fact that if you already have a good understanding of the metric system, it will be easier for you to pick up on MIL than someone who is used to using the imperial system. Other people prefer to use MOA vs MIL for the basic reason that they aren’t very good at math without being able to write it down or use a calculator. Since the math with MIL is a bit trickier than MOA is, some people steer clear of MIL so that they don’t have to deal with the odd measurement increments. But the truth is most people choose MOA vs MIL because they simply have a misunderstanding of how to use it. This is not to say that you can’t use the MIL system if you know the imperial system, but the most important thing is to be dedicated to learning whichever system you choose so that you can use your scope to its full abilities. As mentioned, using MIL or MOA is really just a personal preference and either will do just fine. Although, there is a one factor of the equation that is important to know. Matching your reticle and your turret is incredibly important. Doing this will make your user experience better every single time. When you use the same system on your reticle and your turret adjustment you no longer have to jump through mental hoops making absurd calculations and conversions from MIL to MOA on the fly. 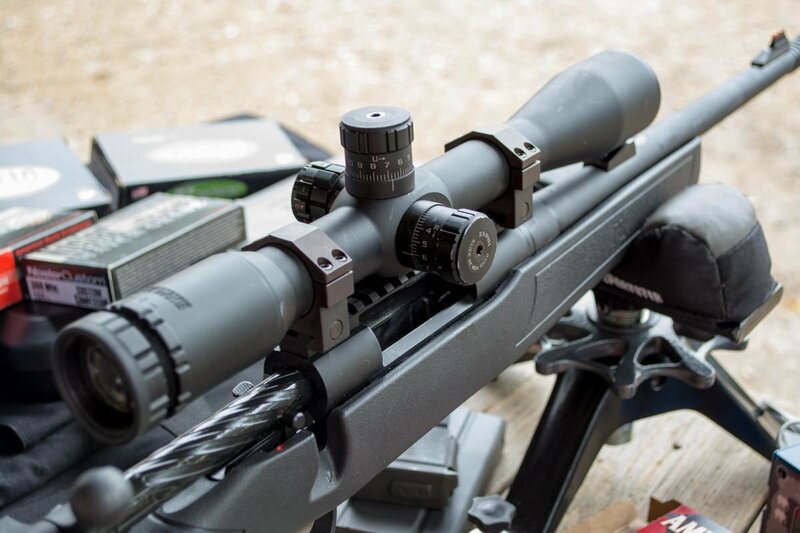 If your reticle and your turret adjustments match you are then able to make things incredibly simple for yourself and read what your optics say and shoot. When they match, the conversions aren’t necessary anymore. So, what you don’t want is a MOA scope with a MIL dot reticle or something of that nature. It is a lot like if you happened to be driving a car that measured your speedometer in kilometers but all of the road signs you drove past were measured in miles. When you drive past a 70 miles per hour speed limit sign, you would need to do the math quickly to find out how many kilometers 70 miles per hour would be. Sure, it can be done but it’s incredibly inconvenient. You might be wondering how that might work in action. It’s simple really, when you match the two systems you are able to adjust without doing conversions. Sure, you still could use a mis-matched set but here’s a little math to convince you. 1000 yards is equal to 36 inches but when you’re looking at it in terms of minutes of angle, you get 3.44 MOA. 1 MOA at 1000 yards is 10.49 inches or .29 MIL. See where this can get a bit tricky? Working with groups of 3.44 is not easy math, which means by using mismatched sets it’ll take more time and effort converting from MIL to MOA or MOA to MIL. Wouldn’t you rather spend that time enjoying your experience? I know I would! Some people enjoy debating the topic of whether MIL or MOA is more precise for long range shooting. Realistically, neither is more precise enough to matter in the long run but here are the facts so that your decision is well informed. Remember, another way to look at MIL vs MOA is tenths vs quarters. When it comes down to it the fact is that using ¼ MOA is actually more precise than using 1/10 MIL. Why is that? Well, ¼ MOA clicks have a slightly finer adjustment. Since the adjustment is finer it is easier to be more precise and accurate. Again, while this is technically true, the difference is so minor that it truly should not be a major factor in making your MIL vs MOA decision. In fact, to give an idea of how small the difference is, reference the following scenario. At 100 meters by one click of a turret is ¼ MOA or 7 cm (or 2.75 inches) and .1 MIL which or 10 cm (3.9 inches). That means that at 1000 meters the difference between the two is just 3 cm or 1.2 inches. This matters so little at this distance that the argument of precision is basically a mute point in the MIL vs MOA debate. Also, it is important to keep in mind that if you’re using a scope it is a good idea to have a firm understanding of both systems for a few reasons. To begin, since MOA was the more popular system for a while, target sizes are still displayed in MOA. Another reason it’s important to know both is in the case of shooting with someone who is using the other system. If you have knowledge about both systems, it’s going to be much easier to communicate with other shooters and will save both you and your partner a headache in the end. One of the simplest ways to convert MIL to MOA or MIL to MOA is by converting using 3.43. This is because 3.43 MOA is equal to 1 MIL. If you take this number and divide or multiply against the opposite unit of adjustment to get your conversion. To make converting from MIL to MOA even simpler you can swap out 3.43 by rounding to 3.5 since the difference is not all that significant. Whether you have knowledge about both systems or not though typically, when shooting with another person it is a good idea to be on the same system as them. Think of it like speaking a language. If your partner is speaking a different language, sure you can translate what they are saying so you understand but it’s a heck of a lot easier if you are both speaking the same language. It works the same way when considering MOA vs MIL when shooting with other people. Having the same measurement system helps communication be easy and fluent. Plus, it stops confusion that could be had when trying to convert from MOA to MIL or from MIL to MOA. One more thing to consider is that MIL does seem to be the most popular system used by shooters today. So, choosing MIL just so that you are on the same page as other shooters may be a good decision. This helps when you’re spotting for one another when hunting with friends for example. But if you’re planning on only shooting alone, then whatever system you feel more comfortable with will work just fine. MIL vs MOA: Which is better? It has been said time and time again that neither system, MIL or MOA is inherently better and yet the debate still lives on. The two systems both work well, and a shooter really can’t go wrong with either the MIL or MOA system. What it all comes down to is personal preference. The best way to choose is to consider what scenarios you are using your firearm for, what you’re comfortable with, and which one you take the time to learn. 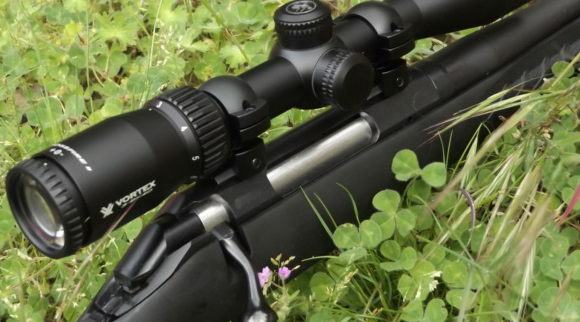 If thinking in inches and yards is what you’re used to, and you’ve dabbled with MOA before, it might be a better idea to go ahead and stick with what you know. On the other hand, if you’re a brand-new shooter and haven’t grown attached to a certain system it may be a good investment of your time to learn how MIL works. Since trends are starting to focus more on the MIL system rather than the MOA system, that would probably be the right choice for a beginner. 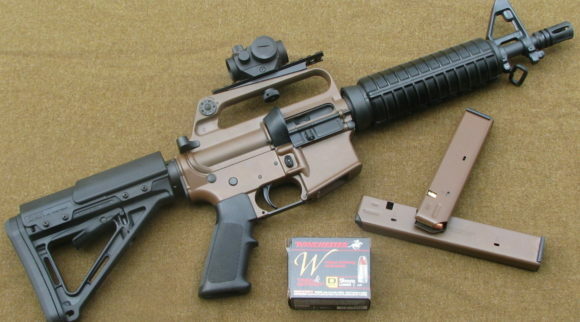 MIL or MOA, who uses what? 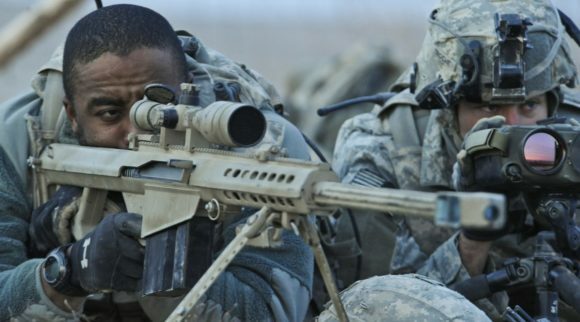 Traditionally, military and law enforcement have used scopes with a MIL reticle and with a MOA turret. But these days, most military and law enforcement have switched over to MIL. Since the military has standardized to the MIL system it seems others have followed suit. Something you might consider when choosing MIL or MOA is that more people now use MIL. Since more people are using MIL it is inevitable that the scope market is going to sway more towards MIL than MOA. Trends have been pointing towards more usage of MIL dot vs MOA, because of this, more products are being made in MIL rather than MOA. So, if you are in the market for a new scope, choosing MIL might be good for you so that you have more options when shopping. Additionally, as more products continue to favor MIL dot vs MOA, other shooters will jump on the train as well. When this happens, it will affect how easily you are able to communicate with your fellow shooters when shooting together. Therefore, it is something that should be considered. Another thing worth thinking about is that more and more professional shooters are choosing to use MIL over MOA. This may or may not be something that factors into your decision. This is not to say that the popularity of MIL dot vs MOA makes MIL a better choice, it is just a more common choice. 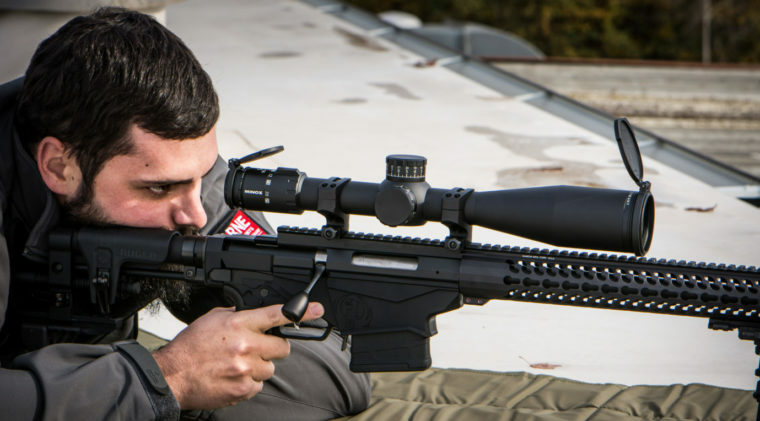 But again, as professionals and experts publicly choose MIL, other shooters are bound to follow suit, making the market for MOA scope narrower and making MIL more universal. At the end of the day it doesn’t matter which measurement you choose, MIL or MOA, so don’t let it be a source of frustration for you. The most important thing to know when considering the MIL vs MOA debate is which you feel more comfortable with or which you are willing to learn and use the way it was designed to be used. After comparing the pros and cons of each measurement system, it is clear that MIL has quite a bit more pros than MOA. But keep in mind that it’s also a good idea to consider matching your reticle and turret to save yourself a whole lot of trouble. 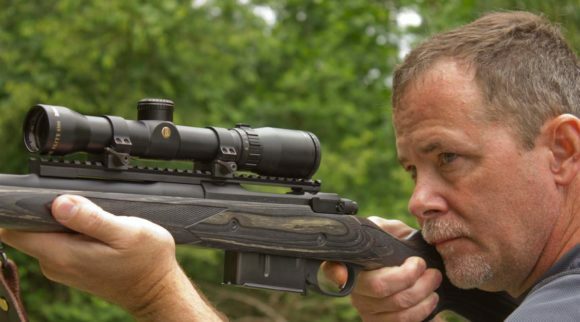 After all, scopes are there to improve your accuracy and your enjoyment while using your firearm. Therefore, above all else, make sure that you pick the option that is going to be the best for you.